Deluxe furnished cottage located just yards from Rye Beach and park! 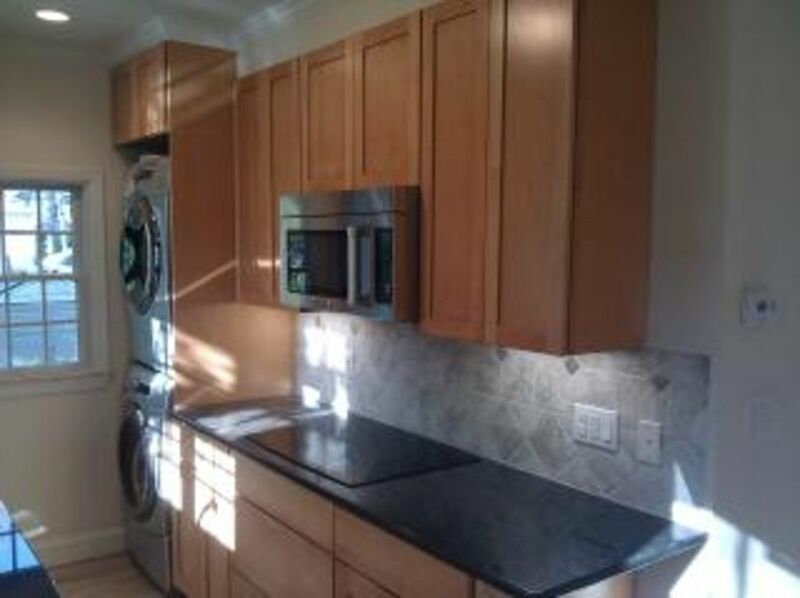 High-end renovation in 2011, with new granite-top kitchen, stainless steel appliances, Bosch DW and more! Hardwood floors throughout. Brand new marble bathroom with tub. All new Andersen windows. Dreamy cottage is within walking distance to additional restaurants and shops. May also be leased as a summer rental. Off season monthly rent for $3000/month, summer monthly rental for $4000/month which include utilities. Weekly summer rates are $1200. Yearly rent for $2700/month which does not include utilities. Beautiful marble bathroom with tub. 1 mile from stations and towns of Rye and Harrison. Rye Beach, Rye Park, Pool and Rye Golf Club. Yards to Rye Beach, Park, beachside restaurants, pool, Playland. As Rye resident, have access to award winning rye schools, golf club, pool, beach, etc. short train ride (25 minutes) to NYC. We really enjoyed our stay. The cottage was immaculate and well decorated. This was second time staying in the cute cottage. I loved the small space and its location is perfect. It's well equipped. We enjoyed out 30th wedding anniversary and stayed 3 weeks. Just perfect for two in love. The premises was as described. We were a family of four who stayed while our house was under construction. For a small space it is very well appointed and has everything you need for a pleasant stay. Owner was responsive to our questions when posed. We would recommend renting this property for short or long term rental. A lovely, peaceful home that is very close to the water. I stayed here in the fall and also this past spring... i.e. my second stay. The owner is there if and when you should need her. The home is elegantly decorated and is comfortable for one or two people. Rye is an amazing town and very close to NY with easy train access. Highly recommended. I stayed in the Beach Cottage for a bit more than three months in late 2013 and thoroughly enjoyed it. The location near the water (which is a short walk) is superb. It is a quiet, peaceful spot. I was there alone and the Cottage was perfect for me. There was good internet, quality TV, lovely modern kitchen and a comfortable bed. The unit is petite but everything I needed was there and I plan to return. It is a short drive to the train station for trips to NYC plus the town of Rye is delightful. Pepsico Gardens, Nature Trails, Concerts in the Park Theatres, Museums, Fireworks, Quaint Village of Rye with Great Restaurants, Short Walk to Beach and Swimming, Walk to year- round Ice in-door ice Skating Rink, Hudson Valley Attractions, SUNY Music Performances, White Plains and Stamford CT Malls, Shopping, Near-by Boat and Bicycle Rentals, etc. Weekly extensions of fall- spring leases are $1000/week. Weekly extensions of summer leases are $1200/week. Extensions under a week will be charged daily rate of $150/night in the fall-spring term and $200/night in the summer term. Deposits must clear day before original lease ends. Landlord cannot promise that the extension will be possible as other renters might be moving in.